Many people prepare for serious emergencies from basic SHTF scenarios all the way up to TEOTWAWKI. 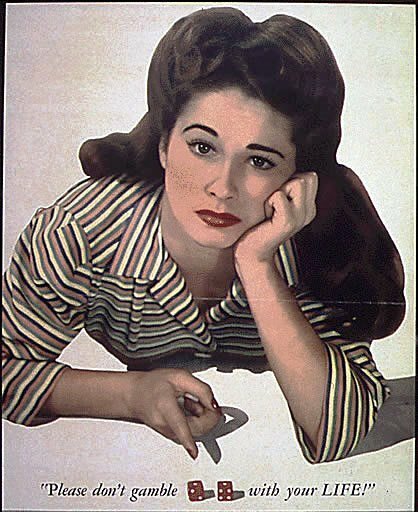 But if you are old enough to remember America of the 50s and 60s, you will realize that many parts of the United States have slid into a limited form of SHTF on a daily basis. The recent events in Ferguson have shown that government at the Federal and state level are unable or unwilling to maintain order so that politicians can do what they do well: Play politics. And to hell with the safety of the public. Your individual security is mostly up to you. And in reality, it always has been. This article isn’t about how to survive riots, although we will touch on that later. This is going to be a multi part article that is going to review some of the common sense things you can do today to increase the safety level of you and your family in an increasingly dangerous world. We are going to start with things you can do to improve your security in your home and then step outside to explore how to survive there. There are many things you can do to reduce the likelihood of your house or apartment being burgled or invaded, but keep in mind that hardening your home can only go so far. These things can protect you from the common criminal, but in a long term SHTF situation, you may have to decide whether to bug in, or bug out. So lets consider some defensive upgrades to you home that may prove valuable. All entryways need to be lighted using either timers or motion sensors. These are ridiculously cheap and easy to install. Your exterior lighting should allow you to see at a minimum of 100 feet. Do not leave your exterior lights on all the time. Keep shrubs, bushes, and plants that are within 4 ft. of a sidewalk, driveway or door trimmed to 2 ft. or less. Within 4-8 ft., 4 ft. or less. Trim trees so that lower branches are 6 ft. above ground with a tree trimmer, and limbs cannot be used to gain access to upper windows. Plant thorny bushes or flowers along fences and under windows to discourage burglars from approaching through them. Garages are a favorite entry way for burglars. Besides the goodies in the garage, many people are lax in securing the door to the house. 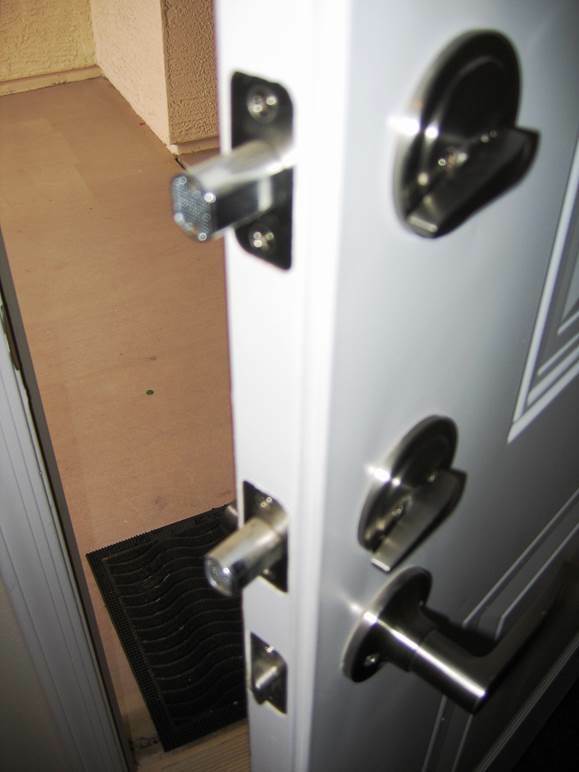 On the overhead rolling doors, drill a hole in the runner and padlock it with a high quality padlock The connecting door to house should be solid wood or metal with a deadbolt Remove keys from vehicles overnight. Remove garage door opener from vehicle overnight. Change the factory code setting. Newer openers have “rolling” codes. Do not store keys in the garage. Do not store ladders, pry bars, or other tools that would aid a burglar in outdoor sheds. All exterior doors should be solid wood or metal. Do not install pet entrance doors. Juveniles and small adults can enter through them.Use wooden dowel or aluminum pin to prevent door from being opened from outside. Insert screws halfway down upper rail or a attached plate to prevent door from being removed by being lifted out. Insure all external power and utility boxes locked. All property fences should have locked gates. Insure all skylights locked in place and reinforced with plastic glazing. Do NOT hide a spare key outside under the door matt, ect. If you are a new occupant, re-key the property. If you lose your keys, re-key the property. The above are just some of the things you can do to harden your home and reduce the chances of a burglary or home invasion. In Part 2 we will cover additional security measures in the home, and security practices when away from home. If you liked this article and found it useful, please click the “Vote for Me” icon at the right hand side of the page. Thanks! Security is good but as said the ability to escape must never be compromised seeing as though the number one weapon of choice by a rioter is FIRE. What attracts the attentions of others? Obvious security and fortification, that and the clean lines of security. For some it’s like a flag saying “there is good stuff within”. One of the best secured houses I ever worked in looked like a tip on the outside. It was intentional, it worked. The blight of the street was never burgled even though the richest man on the block owned it. Yet behind the facade were steel doors (artistically “distressed”), alarms, laminated window glass, CCTV, a safe room, and a sprinkler system right through the house. Add a fortified integral garage with a Landy hot and ready to go, this guy had really thought about things. Even if you plan to “bug in”, you must have plans and preparations to let you “bug out” if it becomes forced on you. Exterior lighting is good, as long as the power is on. Consider motion activated solar lights at key locations. 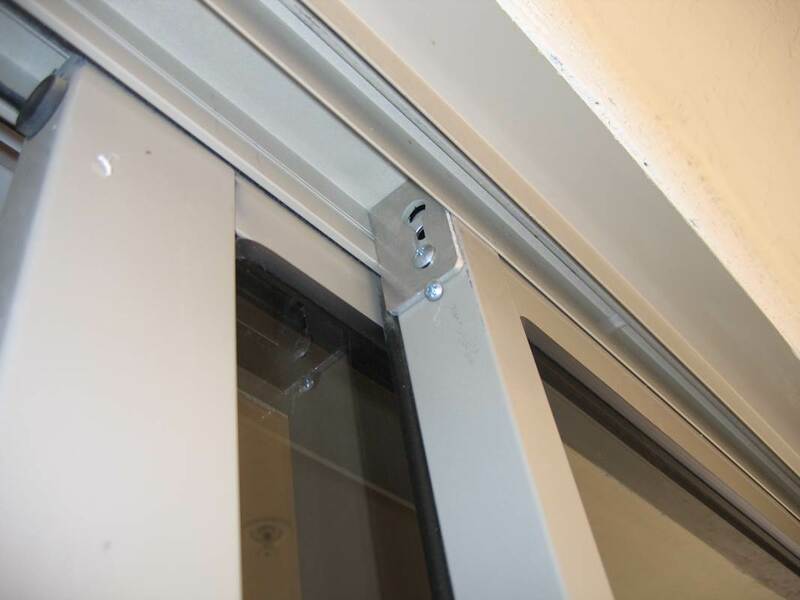 Side sliding windows have the same ability to be lifted out as do sliding doors, and can also benefit from screws partially installed in the track above them. 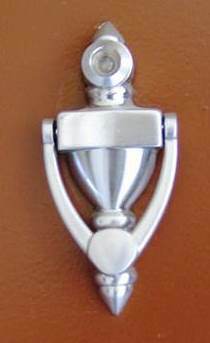 The best door and lock in the world won’t keep someone from spreading the door frame apart with an old style car jack. Attempt to harden the frame as much as practical too. 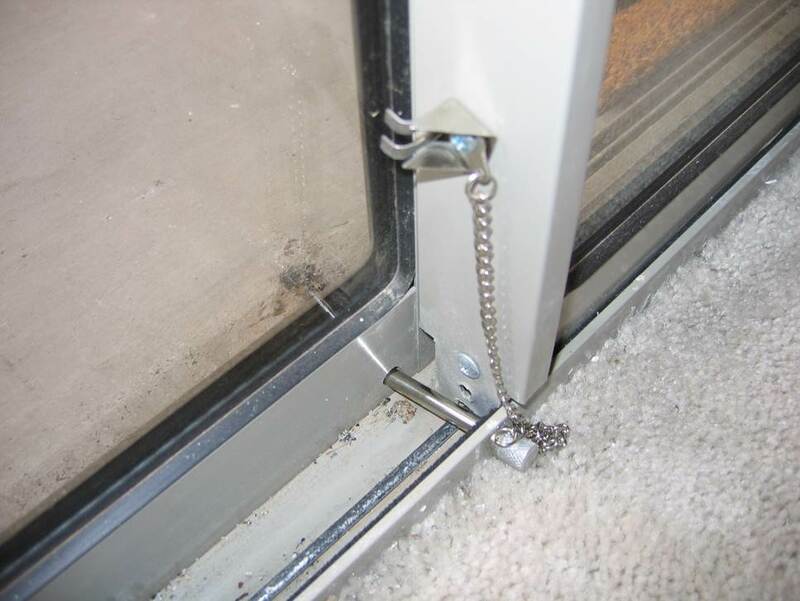 A security screen door on the front door is a good idea; it allows you to get ventilation without bugs, animals or casual intruders, and to answer the door with relative safety. Windows are very subject to attack, and there is not a lot you can do without removing the “window” function. Grills are better than nothing, but can usually be easily removed with a chain and car. Rolling shutters are moderately effective. I’ve heard of an “assault proof” screen which sounds promising. Bullet proof glass would be great, but not practical for most people. Dual and Triple pane windows not only help with energy savings, but added security. An alarm system can be of value, but if you have one, it is a bad idea to have signs (from that company) in your yard or on the windows. It just gives potential intruders a head start in figuring out how to defeat it. Similarly, cameras can let you check in remotely and help identify anyone who does break in, but be SURE to set them up correctly. As they come from the box, many can be remotely accessed and controlled by anyone who does the research, from anywhere in the world. Whatever you do to keep intruders out, make sure they don’t keep you in during a fire or other need to exit. Finally, try to make your residence as unattractive to burglars as practical. In particular, don’t have anything of value visible from the outside or doorway; take the packaging from valuable items somewhere else to dump and don’t let anyone you don’t trust know what valuables you have. All very good points, and some of them I intend to address in parts 2 and 3. Thanks for posting!